Runners in the 2018 Comrades runners face the greatest challenge in the history of the race when they line up at the Pietermaritzburg city Hall on Sunday 10 June. 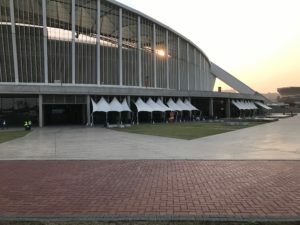 With the announcement that the finish will move to the Moses Mahbida Stadium, the CMA are faced with options of an event that uses much of the tradiational route over Tollage but with a distance that would be one of the longest in the 93-year history, or alternatively include the challenge of climbing over the ridge into Morningside and the steep descent back to Durban’s sports zone, which brings the race distance similar to the norm of just over 89km. 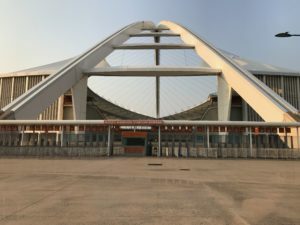 There are no fixed decisions as yet as the matter is still being determined with the traffic and metro authorities, but it is known that runners will finish inside the iconic Moses Mahbida Stadium which was built for the 2010 FIFA World Cup. The stadium finish has been welcomed by most runners, and certainly has the facilities and access that will make for slicker operation on race day. The change of finish, from Kingsmead Cricket to Moses Mahbida is however fixed and there is no turning back from that. 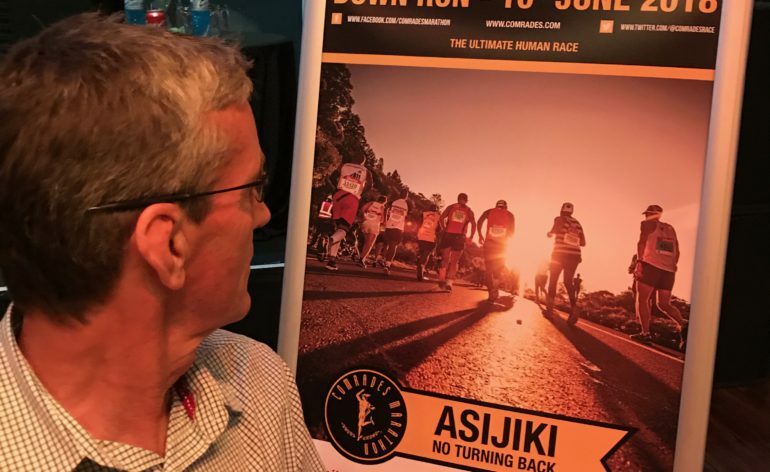 ‘No Turning Back” – ‘Asijiki’ in isiZulu – is also the slogan for the 2018 race which will once again take a maximum of 20,000 entries. The on-line entries open on Friday 1 September and for the first month South African and Rest of Africa runners will benefit from the early bird price of R460, whereas for October and November this will increase to R500. Although the entry has increased, so too has the prize money which now sees R440,000 for a win down to R21000 for tenth place. The bonus for a new best time from start to finish has also been increased to R440,000, if the winner dips under David Gatebe’s 5:18:19 from 2016, and Frith van der Merwe’s 5:54:43 from 1989. Bongmusa Mthembu is already committed to the 2018, and the only up and down run south African winner since Bruce Fordyce will be sure to have his eye on the Best Time. As in the past runners have to qualify with a sub 5 hour marathon, or equivalent at longer distances, with last weekend’s Mandela Day Marathon opening the qualification period and fittingly south African and Comrades great, Wally Hayward Marathon on 2 May, closing runner’s opportunity to record a time for entry or seeding. Over the years, many runners have been inspired and motivated to run for the benefit of others and those who have raised chosen to run for the six official Comrades charities have raised an impressive R30 million over the last decade. And the Hillcrest AIDS centre. Three charities have been retained from the previous years: Community Chest, World Vision and Wildlands whose objective is to provide a sustainable future through the development of community projects. Six timing and cut off points have been established along the way, and additional will be set up to ensure the integrity of the results. This year however the exact cut of times will ONLY be announced after the final section of the route has been determined, particularly since the overall challenge has yet to be finalised. Bruce Fordyce’s 1982 down run completed in 5:34:22 is listed as 91.2km, (Cheryl Winn led ladies home in 7:04:59) making it one of the longest events, with the 1973 down run which finished at the university ground also considered as a contender for the toughest events to date. However, it can be debated that the very first up run, which started at Tollgate and finished at the Show grounds in Pietermaritzburg, could have been a greater challenge as it was held almost entirely on dust roads, and went past the City hall at the Pietermaritzburg end making it both long and taxing. Taking the changes in measurement methods, a re-measurement of the 1982 down run using the bicycle method would probably give a distance of around 89.5km, but the use of Jan Hoffmeyer, and Essex Terrace, as well as the drop down to Cato Manor and climb over Tollgate bridge, still puts it up as one of the toughest Comrades. The debate as to whether 2018 will exceed this either by distance or the climbs on the final 8km are sure to rage until the route is finalised, as will the debate as to whether it is easier to conquer an extra km or a sharp climb! 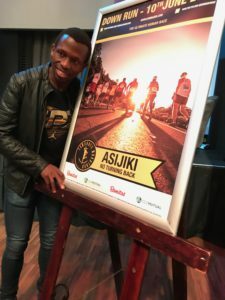 No matter which way it is reviewed – the facts are 20,000 runners will aspire to finishing, medalling and winning Comrades 2018 and entries will commence on Friday 1 september and after that it’s – ASIJIKI – NO TURNING BACK!! !